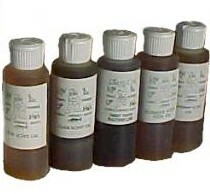 This urine is also collected only from rutting bucks, with just the right amount of buck gland lure added. Formulated for bringing in subordinant as well as dominant bucks. Use at scrapes and artificial scrapes. One of the best attractors for all seasons. Collected only from doe deer in heat. 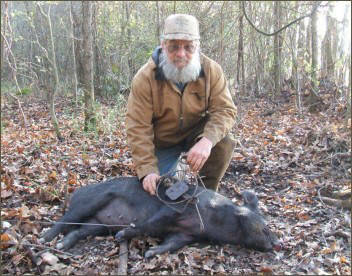 For best results, use as a trailing scent and for positioning a deer for your killing shot. Use this at rubs, scrapes and scent stations all summer. It keeps them attractive. In the fall, use with Buck Gland Lure for added drawing power and a change-up. This urine is collected only from rutting bucks. Use this urine for all deer during all seasons. This is also a good trailing scent. A true scent of fresh turned-over earth. "Man!" Earth is everywhere, even underwater -- but water and earth make mud, Right? Well, just dry it and you get earth again. "Nuff said!" This is a natural Eastern White Cedar (Jersey Cedar) scent. Do not confuse this with cypress, red or western cedar which are sold by others. A special blend of fox urine and other curiosity scents. Deer cannot pass up this scent! Use like you would the Red Fox Urine. Use at rubs, scrapes and scent stations all summer to keep them attractive. In fall, use with Buck in Rut Urine With Gland for added drawing power and a change-up. A gland lure that's a great curiosity attractor. Excellent for deer. Conjured up hundreds of years ago by mountain men trappers who ventured into the wilderness areas east and west of the Mississippi River in search of fur and hides. Use this for shot positioning. A gland lure that's a great curiosity attractor. Made with an imported extract that makes it irresistable to deer and furbearers alike. Mountain men of old placed high value on this extract. Use for shot positioning. "In the Pines, in the Pines where the sun never shines......" Get the picture?